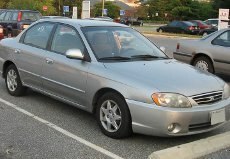 Kia is recalling about 58,000 Spectras from the 2004-2007 model years. The company said the fuel tank straps could corrode as a result of exposure to road salt, possibly letting the fuel tank drag on the ground, which could cause a fuel leak and start a fire. Heartland America is recalling about 5,850 wooden stools. The legs and seat of the stool can crack and break, causing the consumer to fall. Heartland has received 11 reports of incidents, including seven reports of injuries. Injuries include one person with a head laceration. The stool is a an adjustable-height solid wood, 3-legged stool sold unassembled. The seat is 11 3/4-inch diameter. The stool height adjusts from 17 inches to 25 inches. A "Made in China" sticker is on the underside of the seat. Heartland America catalog and website sold the stools for about $30 from June 2010 through February 2011. They were made in China. 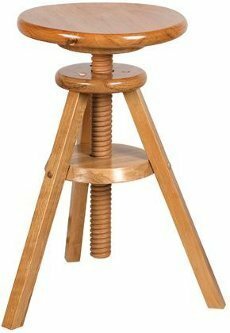 Consumers should immediately stop using the stool and return it to Heartland of America for a full refund. Heartland America is contacting its customers directly. Toro is recalling thousands of its Toro Power Clear Snowblower and the Toro 20" Recycler Mower. The carburetors on both products develop fuel leaks and can ignite when exposed to an ignition source, posing a fire or burn hazard. There have been about 500 reports of carburetor leaks. There were no reports of fire or injury. The model and serial numbers are found on a decal on the left rear of the mower. Model 20323; Serial number 310000001 to 310999999. Toro Dealers in the United States and Canada sold the machines from September 2009-March 2011. The mower was made in Mexico, the snowblower in the United States. Consumers should immediately stop using the products and contact a Toro Service Dealer for a free repair. 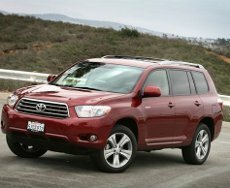 Toyota is recalling Highlander models from the 2008 model year and Rav4s from the 2007-2008 model years because of a problem with the curtain shield airbag. The company said a problem with the sensor that detects vehicle rollover could malfunction. In addition, a failure of two separate sensors could cause the seat belt pretensioner to be activated, which could cause injury to the vehicle occupant. Toyota will replace the airbag sensor assembly with a new one when the recall begins in mid-May, pending availability of parts. 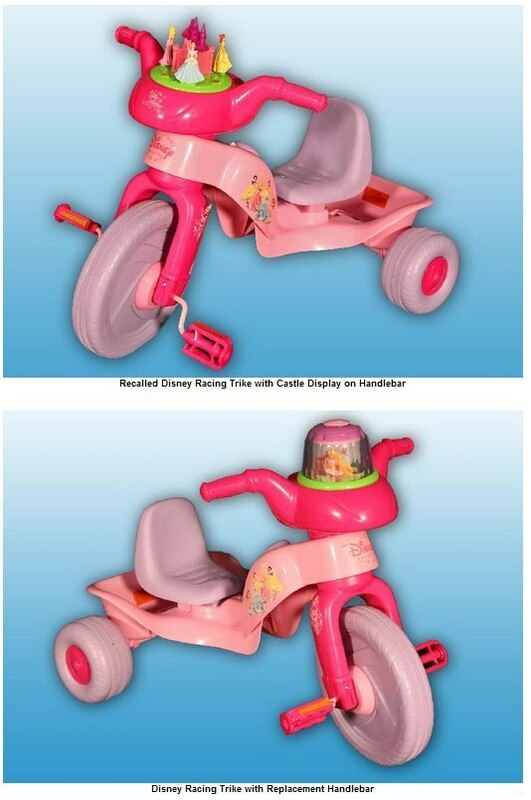 Kiddieland is recalling about 10,000 Disney Princess Plastic Racing Trikes. The plastic castle display and the princess figures protruding from the top of the handle bar pose a laceration hazard if a child falls on it. CPSC and Kiddieland have received three reports of children suffering facial lacerations. Target, JCPenney, Meijer and H.E.B. stores sold the trikes nationwide and on the Web at www.target.com from January 2009 through April 2011 for about $50. They were made in China. 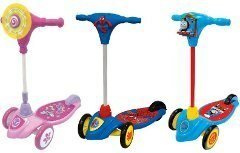 About 16,000 Kiddieland "Lights and Sounds" scooters are being recalled. A child’s finger can get caught in the hinge mechanism between the steering column and the platform, posing a laceration hazard. There have been two reports of children whose fingers got caught in the hinge mechanism and required stitches. Toys R Us and JCPenney sold the scooters from January 2009 through February 2011 for about $40. They were made in China. About 1.2 million Marineland Stealth and Stealth Pro Aquarium Heaters are being recalled by United Pet Group. A wiring problem can cause the aquarium heaters to overheat or break during normal use, damaging the aquarium and posing fire and laceration hazards to consumers. Overheating can cause the heater to shatter or the acquarium glass to break. United Pet Group has received 38 reports of fires resulting in property damage and 45 reports of broken aquarium glass. United Pet Group has received one report of a consumer who suffered an eye injury when the aquarium heater forcefully broke while he held it. 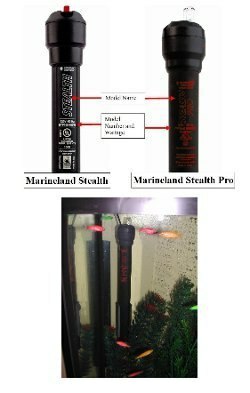 The recall involves the following Marineland Stealth and Stealth Pro acquarium heaters. The heaters are black plastic tubes and have a temperature adjustment knob at the top. The model name “Stealth” (in white letters) or “Stealth Pro” (in red letters) is printed on the side of the heater. The model number and the wattage rating are printed below the model name. Stealth Pro heaters were also sold as part of aquarium starter kits. The heaters were sold by pet stores nationwide and on various websites from January 2004 through February 2011 for between $20 and $300. They were made in China and Italy. Consumers should immediately stop using the recalled aquarium heaters and contact United Pet Group for a free replacement aquarium heater or a full refund. CAMP USA is recalling about 15,500 Photon carabiners, Photon and Mach Express quickdraws. The carabiner gate may open under a heavy load, posing a risk of serious injury or death if the climber falls. 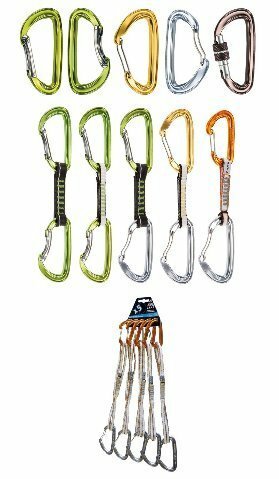 The Photon model carabiners are used by climbers as connectors and are sold individually or as components of the Photon Express and Mach Express quickdraw used as extenders to anchor a climber. The carabiners were sold in a variety of colors including green, yellow, silver and brown. The quickdraws use a white or black fabric strap with green, yellow or gray stitching and Photon carabiners attached at each end. Outdoor retail stores sold the carabiners nationwide from February 2011 through March 2011 for between $8 and $12. They were made in China. Consumers should stop using the recalled carabiners and quickdraws sold with carabiners immediately and contact CAMP USA to return the recalled products for a full refund. 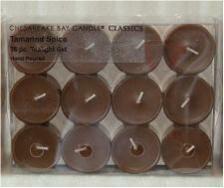 About 7 million Chesapeake Bay and Modern Light tea candles are being recalled. 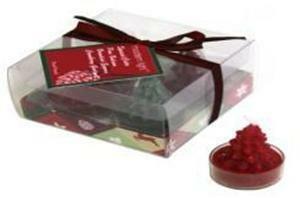 The candles have a clear, plastic cup that can melt or ignite, posing a fire and burn hazard to consumers. Pacific Trade has received one report of the plastic cup melting while in use. No injuries or property damage have been reported. 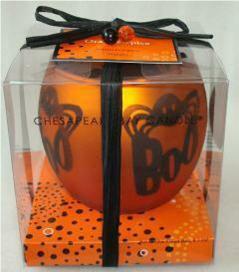 The recall involves tea lights sold under the brand names Chesapeake Bay Candle and Modern Light. The candles are various colors. 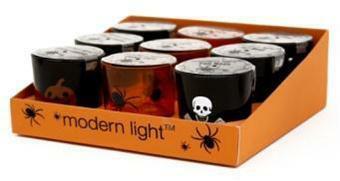 They were sold in sets or with tea light containers. 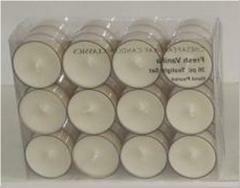 Tea lights from the below sets are involved with this recall. Only tea lights that do not have any lettering imprinted on the bottom of the tea light cup are included in this recall. 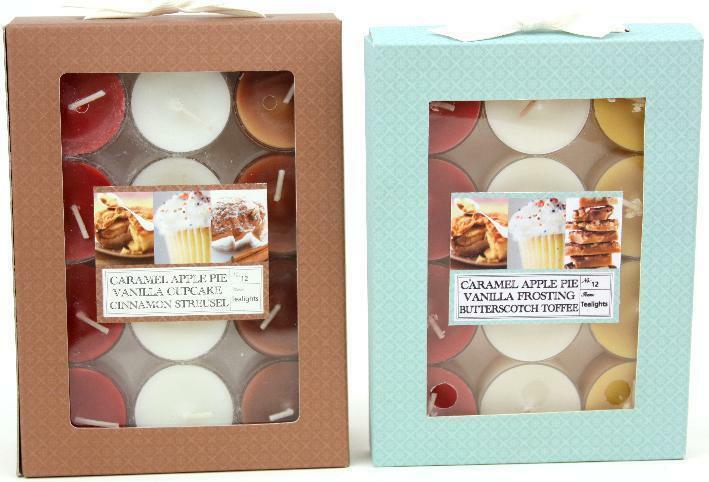 Fred Meyer, Home Goods, Marshalls, Super Value, Target, TJ Maxx and Wegmans stores sold the candles nationwide between July 2009 and February 2011 for between $1 and $12. They were made in Vietnam. Consumers should immediately stop using the candles and return them to the store where purchased for a store merchandise card equal to the purchase price. GeoManGear is realling about 18,000 lithium-ion batteries used in Magicshine bicycle lights.The lithium-ion batteries can overheat, posing a fire hazard to consumers. The company has received three reports of batteries overheating and causing minor fires and property damage. No injuries have been reported. GeoManGear's website sold the batteries from June 2009 through November 2010 for between $40 and $130. They were made in China. Consumers should immediately stop using the recalled batteries. The company is notifying all known consumers. Consumers who have purchased the recalled batteries from GeoManGear and have not been contacted should visit www.MagicshineBatteryRecall.com to register to receive a free replacement battery. About 15,400 Spot satellite communicators are being recalled. The internal voltage regulator can stop working, resulting in the inability to transmit messages and tracking information in emergency situations. Spot LLC has received two reports of product failure in temperatures below 40 degrees Fahrenheit. No injuries have been reported. The satellite communicator tracks the user's location and sends the user's GPS coordinates and a distress message in the case of an emergency. The device is black with the SPOT logo and the word DeLorme on the front. It measures 3 inches x 2.6 inches and is bundled with the DeLorme Earthmate PN-60w GPS. The GPS is not subject to this recall. Affected products have Electronic Serial Numbers (ESN) from 0-2000000 to 0-2019999. The ESN is located on a label under the battery. Cabela's, Bass Pro Shops, REI, L.L. Bean and other retailers sold the devices nationwide from July 2010 through March 2011 for $549. They were made in China. Consumers should stop using the product immediately and contact Spot LLC for a free replacement. Lennox Industries Inc., is recalling about 400 garage heaters. Some heaters were manufactured without a required flame rollout switch, which is a back-up device that shuts down the heater in the event of a heater failure. This poses a fire hazard. This recall involves Lennox garage heaters with heating capacity, model number, and serial number listed below. The brand name "Lennox", the model number and the serial number can be found on the nameplate located inside the control cabinet. Lennox Industries dealers and distributors sold the units nationwide from July 2004 through April 2011 for between $2,700 and $4,200. They were made in the United States. Midwest-CBK is recalling Monkeez & Friends wrist rattles and baby booties. The pom-poms attached to the wrist rattles and booties can detach, posing a choking hazard. The firm has received one report of a pom-pom detaching from the wrist rattle. No injuries have been reported. This recall involves the Monkeez & Friends wrist rattles and baby booties. The wrist rattles and the booties are made of knitted yarn and have a monkey head and a pom-pom attached. Both come in multiple color combinations. Gift stores, drug stores, décor outlets and variety stores nationwide sold the itmes from June 2009 through March 2011. The wrist rattles sold for about $5 and the booties sold for about $13. They were made in China. Consumers should immediately take these recalled products away from children and return them to the store where they were purchased or to Midwest-CBK for a full refund. If you are unable to return the product to the store where it was purchased, contact Midwest-CBK to receive a prepaid shipping label. For additional information, contact Midwest-CBK toll-free at (800) 394-4225 between 7:30 a.m. and 5 p.m. CT, Monday through Friday. MTD is recalling about 4,300 Cub Cadet riding lawn mowers. A fuel leak can occur near the rear mounting screws on the bottom of the fuel tank, posing a fire hazard. Model number, serial number and date of manufacturer are printed on a label located under the front of the driver’s seat. The serial number range and date of manufacture (DOM) of affected mowers are 1A101ZXXXXX (DOM 01/2011) through 1C091ZXXXXX (DOM 03/2011). Date of manufacture appears on the label. Cub Cadet dealers sold the mowers nationwide from February 2011 through March 2011 for between $3,600 to $7,000. They were made in the United States. Consumers should immediately stop using the mowers and store them outside. Consumers should contact their local Cub Cadet dealer to schedule an appointment for a free repair. Ford has agreed to expand an earlier recall of Ford F-150 pickup trucks and Lincoln Mark LT vehicles because a possible short circuit could cause airbags to deploy unexpectedly. The latest recall involves 1.2 million F-150s and 16,000 Lincoln Mark LTs. That's in addition to an earlier recall of 144,000 F-150s. The recall covers trucks from the 2004-2006 model years. Despite numerous problems resulting in safety recalls, the F-150 has been the best-selling vehicle in North America for 34 years. Ford said it knows of no accidents or injuries caused by the airbag problem. The recall won't officially begin until May but consumers whose airbag warning light is illuminated should bring their vehicle to the nearest dealer immediately. Redken 5th Avenue NYC is recalling about 1 million Guts Spray Mousse foam cans. The aerosol container's liner can corrode over time, posing a risk of the cans rupturing and expelling its contents. Redken has received 41 reports of cans rupturing. No injuries have been reported. Hair salons and beauty supply stores sold the mousse nationwide from January 1998 through February 2011 for between $4 and $16. It was made in the United States. Consumers should immediately stop using the recalled mousse, record the product's lot code then discard the contents by spraying it into a waste container in a well ventilated area. Prior to disposing of the container, consumers should obtain the lot code from the container, then contact Redken for information on receiving a refund of the purchase price. Coulter Ventures isa recalling about 5,500 Rogue Fitness barbell brackets. The weld between the bracket and the pin that holds the barbell bracket in place on a weightlifting rack can break, causing the weights to fall, and posing an injury hazard to consumers. The firm has received three reports of the weld between the bracket and the pin breaking, including one report of a consumer who received a sprained wrist. The brackets were sold at Rogue Fitness's website, www.roguefitness.com from March 2009 through December 2010 for about $40. They were also sold as part of weightlifting racks and stands for between $350 and $3,400. They were made in the United States. Consumers should immediately stop using the recalled barbell brackets and contact Coulter to receive free replacement brackets. Fashionviews, Inc. is recalling about 4,000 pairs of P.Jamas children's sleepwear. The garments fail to meet federal flammability standards for children’s sleepwear, posing a risk of burn injury to children. This recall involves all styles of P.Jamas brand name children’s sleepwear including nightgowns and two-piece shirt/pant sets sold in children’s sizes XS through XL. A garment label with the name P.Jamas in blue lettering on a white background is sewn to the center back of the garments. The children’s sleepwear is 100 percent cotton woven or knit fabrics. The garments are in a variety of pastel colors in solid, stripe or plaid patterns. Some nightgowns are hand smocked and some pajamas are trimmed in piping or rickrack. Boutique shops nationwide and the www.p-jamas.com website sold the pajamas from January 2006 through October 2010 for between about $50 and $100. They were made in Bolivia and Peru. Consumers should stop using the recalled sleepwear immediately and return the product to the retailer where purchased for a full refund. About 19,000 Active Leisure folding canopy tents sold at Costco are being recalled. The tents do not meet the flammability label claim on the unit, posing a fire hazard to consumers. The recall includes Active Leisure 10’ by 10’ folding canopy tents. Item number 544803 is printed on the original packaging near the bar code. The tents have a metal frame covered in white fabric. Costco stores sold the tents nationwide from January 2011 through February 2011 for about $190. They were made in China. Consumers should immediately stop using the recalled canopy tents and return them to any Costco store for a full refund. For more information, contact Active Leisure toll-free at (877) 730-1583 between 9 a.m. and 5 p.m. Monday through Friday ET. Williams-Sonoma is recalling about 29,000 hot chocolate pots. The handle of the hot chocolate pot can break off during use, posing burn and laceration hazards. The pots were sold by Williams-Sonoma stores nationwide, online at www.williams-sonoma.com and through Williams-Sonoma catalogs from October 2010 through January 2011 for between $30 and $40. They were made in China. Mercedes is recalling selected 2011 Mercedes-Benz E models to replace the vibration damper =. The company said that damper could suddenly separate, possibly injuring anyone who was working under the hood at the time. Cooper Tools is recalling about 69,000 soldering irons. The power cord can break at the flex point where the cord attaches to the handle, posing a burn hazard to consumers. The firm has received three reports of the power cord breaking at the flex point, resulting in three reports of minor burns. The recalled product is a 100 watt, 120 volt stained glass soldering iron with “Weller” and the model number W100PG, W100P3 or W100PGMX written on the light blue handle. The model number is located under the Weller brand name on the iron’s handle. Only certain date codes are included in the recall. Authorized distributors sold the soldering irons nationwide from August 2006 to May 2010 for between $50 and $60. They were made in Mexico. Consumers should immediately stop using this product and contact Cooper Tools to send the product to the company for an inspection and a free replacement soldering iron. Retail stores sold the pacifiers nationwide from April 2010 through February 2011 for about $6. They were made in China. Consumers should immediately take the recalled pacifiers away from infants and contact Key Baby for instructions on returning the product for a full refund or $10 coupon toward the purchase of any Pampers Natural Stages products. Arm's Reach Concepts Inc., of Oxnard, Calif. Is recalling about 76,000 infant bed-side sleepers. There have been 10 reports of infants falling from the raised mattress into the bottom of the sleeper or becoming entrapped between the edge of the mattress and the side of the bed-side sleeper. No injuries have been reported. Burlington Coat Factory, Babies R Us and other retail stores sold the beds nationwide from September 1997 through December 2001 for about $160. They were made in China. Consumers should also contact the company by phone or via the company website to receive hard-copy instructions by mail and an assembly/warning label. Consumers who are missing the fabric liner or other components should immediately contact Arm's Reach for an alternative remedy. AVNS Inc announced today it is recalling THE BEST Enhancer Supplement, after being informed by their manufacturer, Drive Total Energy, that the Food and Drug Administration (FDA) lab analyses found that the products to contain Sulfoaildenafil, an analogue of Sildenafil, an FDA-approved drug used in the treatment of male Erectile Dysfunction (ED), making these products unapproved new drugs. The active drug ingredient is not listed on the product label. The undeclared ingredient may pose a threat to the consumer because the interaction of the analogue with some prescription drugs (such as nitroglycerin) may lower blood pressure to dangerous levels. Consumers with diabetes, high blood pressure, high cholesterol, or heart disease often take other prescription drugs. Erectile Dysfunction is a common problem in men with these conditions, and consumers may seek these types of products to enhance sexual performance. To date, AVNS Inc and Drive Total Energy are not aware of any reports made to the FDA concerning any adverse effects associated with the use of The Best. In addition, Drive Total Energy and AVNS currently have not received any complaints from it's customers. Consumers who have purchased these products should discontinue their use and return the products to their place of purchase for a full refund. Customers with questions can call or email AVNS at 1-562-602-6515 / avnsinc@aol.com Pacific Coast Time Monday through Friday from 9:00 am - 4:00 pm PST for instructions on the return process. AVNS said it "did not in any way knowingly or intentionally violate the law with regard to the distribution of these products." Adverse reaction or quality problems experienced with the use of this product may be reported to the FDA's MedWatch Adverse Event Reporting program online, by regular mail, or by fax. Online: www.fda.gov/MedWatch/report.htm . Regular Mail: use postage-paid, pre-addressed Form FDA 3500 available at www.fda.gov/MedWatch/getforms.htm . Mail to address on the pre-addressed form. Fax: 1-800-FDA-0178. Infantino is recalling about 40,500 Troy the Truck toys. The plastic beads on the activity truck's bead runs can detach, posing a choking hazard to young children. Infantino has received 28 reports of the plastic beads detaching from the bead runs on the activity trucks, including two reports of young children gagging on the plastic beads. Babies R Us, Toys R Us, Meijer, TJ Maxx, Marshalls and other toy stores sold the trucks nationwide from September 2009 through February 2011 for about $15. They were made in China. Consumers should immediately take the recalled toy away from children and contact Infantino to receive a free replacement toy.